Two weeks of birthday celebrations have finally come to an end for my little girl. Her birthday was in August, but we decided to wait until school started before having a party with her friends. She didn’t really have a strong preference, this year, about decorations or a theme. That was good news for me, because I’ve seen so many cute ideas on Pinterest lately! We went with a rainbow theme, which thrilled my kids to no end. I’m not a huge fan of dyes and food coloring in my kids’ food, so when my daughter saw the bright colors, her eyes lit up. It was certainly a special birthday treat for her. 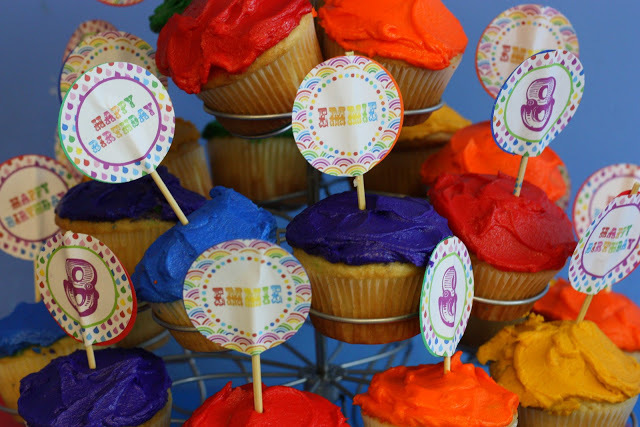 We made rainbow cupcakes, with rainbow cupcake toppers. 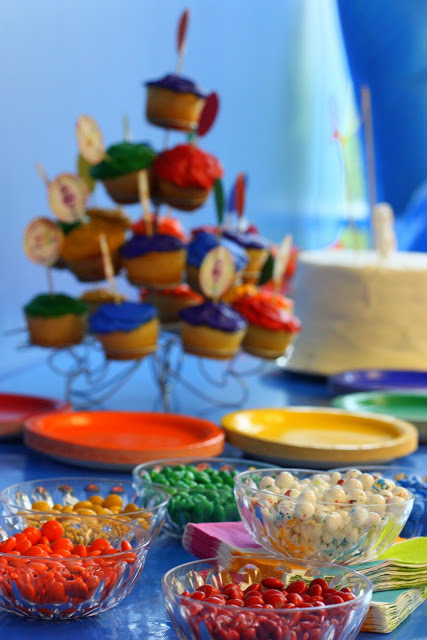 There were rainbow plates and M&M candies. Boy, I’m glad they sell M&M’s already sorted by color. 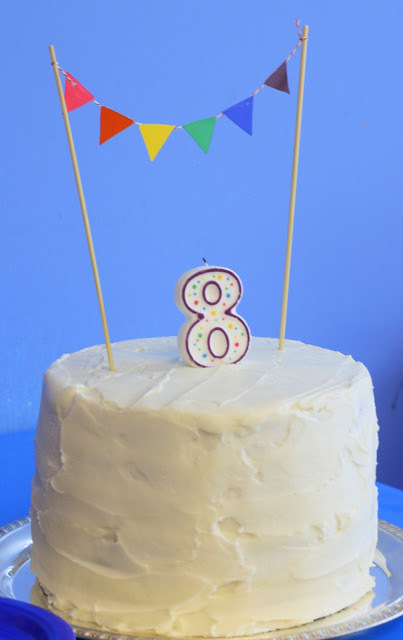 My kids were excited to tell everyone that their mom decided to do a plain old white cake this year. The little rainbow bunting was a hint of the surprise to come. Six layers of rainbow loveliness! I won’t lie. 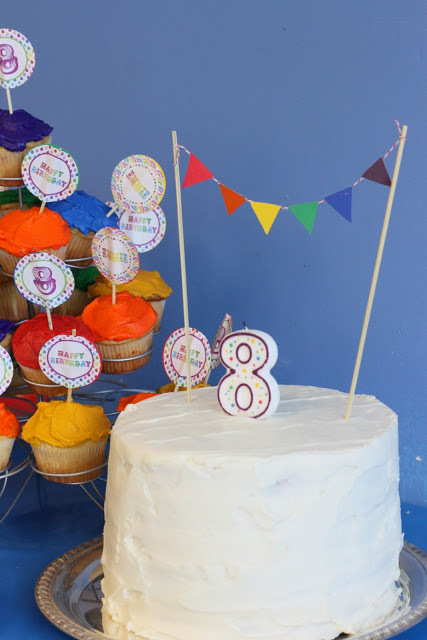 The cake, cupcakes, and decorations were a lot of work (and dishes), but nothing more than I usually do for my kids’ birthdays. The result and “happy” birthday girl were worth the work! A Lovely theme. 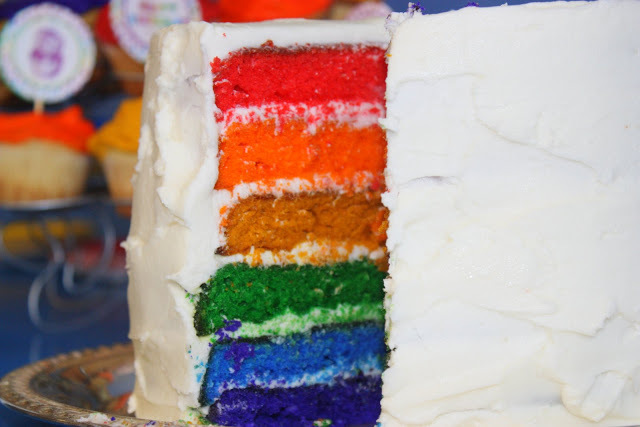 I love those rainbow cakes. I love the idea. Happy Birthday!